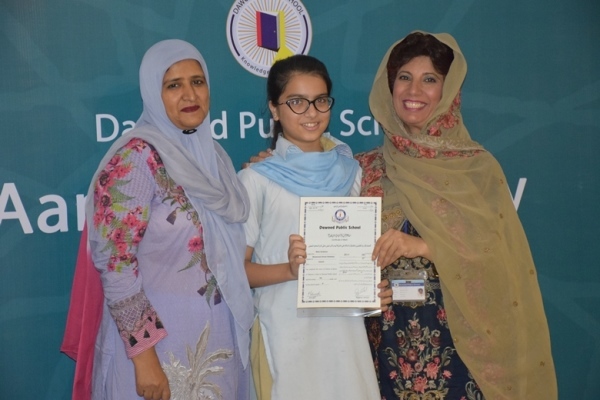 Dawood Public School has always inculcated the spirit of compassion and piety in all students. For this, Nazra Quran classes focus on precise reading and also imbibe the teachings of Allah Almighty. As per DPS tradition, this Nazra Quran course commences from Grade I and reaches its completion in Grade VIII. 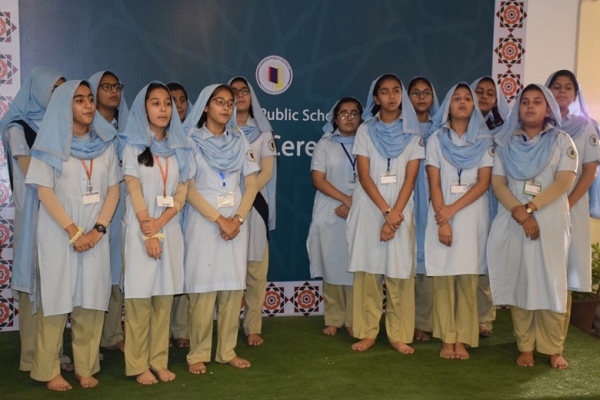 Wednesday, 25th April marked a momentous day in the lives of Grade VIII students as the much anticipated ‘Khatam-ul-Quran’ Ceremony was held at the school. The ceremony commenced with a beautiful recitation of verses from the Holy Quran. 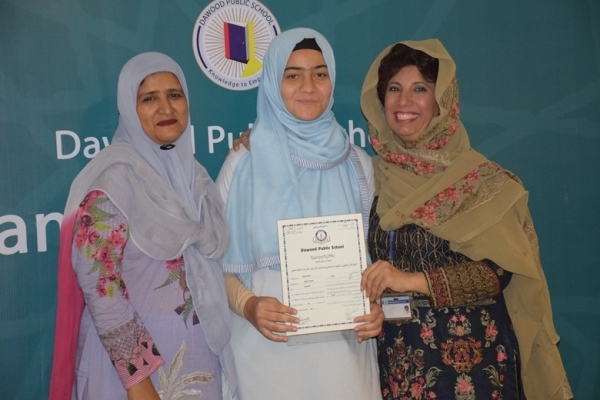 Students rendered a hamd, na’at and asma-e-husna. 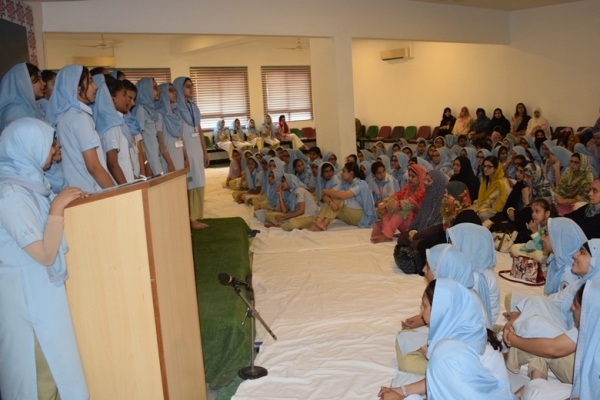 Students also presented speeches on the betterment of humanity through the teachings of Islam and how the Quran enlightens our path to success. The ceremony ended with a heart-warming set of prayers for the Khatam–ul–Quran as the students recited in unison. The event culminated with a short address by the Principal, encouraging the students to carry forth their learning for the betterment of society. 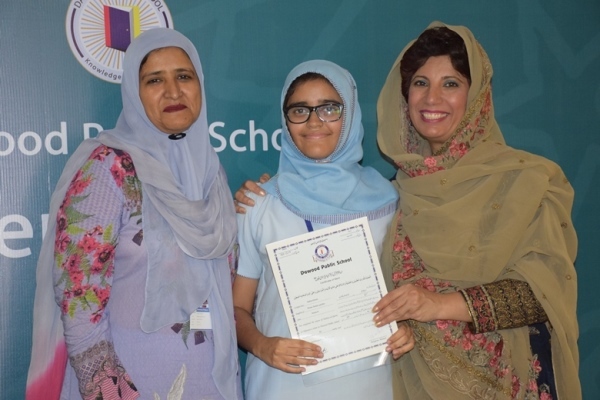 She also recited a small prayer for the prosperity and well-being of the students and their efforts in completing the Quran. Students were awarded certificates and mithai boxes were distributed to the participants and audience.